Farming has not only shaped our ecological landscape, it has provided us with food and well-being. Understanding why people farm here and the factors influencing both their choice of approaches and the public’s appreciation of their work helps us learn what can support a future landscape with an agrarian component. Our cultural work continues to investigate this human side to our worked land. The New Farmer Narrative Project – Farming has been changing dramatically in Columbia County over the last few decades. A new generation of farms has begun doing a new (and yet old) kind of farming based more on the direct marketing of food to customers. Meanwhile, the number of new farmers has rapidly increased. Through this project, we explored this rise in new farmers by visiting and interviewing 20 new farmers in Columbia County about their journey into agriculture, and surveying and talking with many more. What has inspired or challenged them? What can we learn from their stories, experiences and aspirations as we look towards the future of farming in our County? Columbia County Food System Study – At one of our early meetings with farmers, the question was posed - ‘What would Columbia County look like if more people ate local food produced in ways that were economically and ecologically sustainable?’. While we haven’t tried to predict the future yet, understanding the current food system of our county is an important first step. Through a two-year study into different parts of the local food system, we have explored a number of questions: What products are grown here? Who buys them, where and why? How viable is local farming economically? 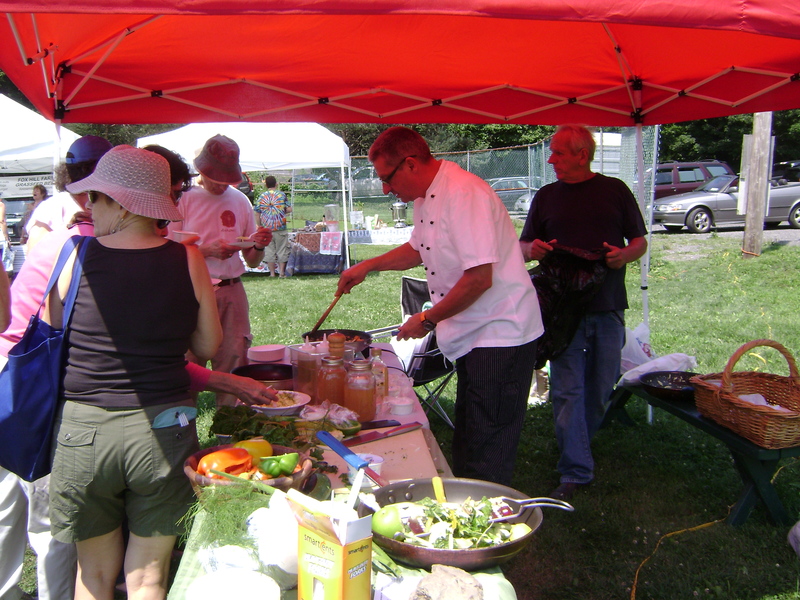 What do people think of CSAs and Farmers’ Markets? We polled farmers, weighed CSA shares, toured Farmers’ Markets, and touted a sandwich-board mounted questionnaire around community day events, all in pursuit of answers to these questions.